Bedbug Pest Control. 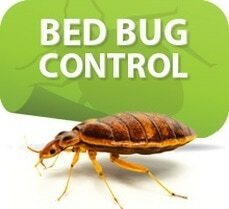 Getting rid of bed bugs can be difficult on your own without the help of an expert bed bug control professional. Pest Control Solutions of Louisiana offers powerful, customized bed bug treatments that eliminate bed bugs where they live and breed. Because bed bugs love to hide, most people don’t know they have a problem until after they’ve been bitten. The most effective way to deal with a bed bug infestation is to hire a ​Pest Management Professional. If you try to control bed bugs on your own you are likely to fail. ​The scary truth is that most people don't know they have a bed bug problem until a few days after they've been bitten. These bloodsucking pests are active only at night and are rarely seen by their victims. Prevention is always the best strategy against bed bugs. However, should you find them in your home, here are a few treatments to help reduce the number of these nasty critters. Do you wake up especially with small insect bites clustered around your arms, neck, back (or any area of your body that is exposed while sleeping)? Is your mattress and bedding dotted with dark reddish spots or smears? There are a number of options to effectively get rid of bed bugs, but sometimes it can get confusing when trying to decide which option would be best for your situation. Here is some basic information regarding methods used by Pest Control Solutions of Louisiana to kill bed bugs. Insecticide treatments that are conducted thoroughly and correctly by a licensed pest control technician can be a very effective way of controlling bed bugs. Three different types of insecticides should be used in order to achieve the best result. There are many different brands of insecticides but one of each of the following broad categories should be used. A fast-acting, contact insecticide for use on surfaces that humans frequently touch, i.e. sofas. A residual insecticide for inside furniture, cracks and crevices and the underside of surfaces we touch. An insecticide treatment typically takes about 30 minutes to 1 hour per room depending on size and infestation of the room. Once the treatment is complete you should wait until all the insecticides have dried before reentering the treated areas. We strongly recommend against trying to conduct an insecticide treatment for bed bugs by yourself. Controlling bed bugs with insecticides is a challenging and time consuming process which requires expertise and in many states a license is required to apply the insecticides which kill bed bugs. The insecticides that can be purchased in a hardware store, such as foggers, are not effective in controlling bed bugs and we strongly recommend against their use. When traveling, think of the acronym S.L.E.E.P. to remember the following action steps to help avoid bringing bed bugs home with you. Lift and look for all bed bug hiding spots, including underneath the mattress, bed frame, headboard and furniture. Typically, they come out at night to feed, but during the day they are most likely found within a 1.5 meter radius of the bed. Elevate your luggage on a luggage rack away from the bed and wall, since bed bugs can often hide behind headboards, artwork, picture frames and electrical outlet panels. ​Think You Might Have a Bed Bug Infestation? Notify Pest Control Solutions of Louisiana immediately, or tell your property manager if you are renting so they can begin to create a customized treatment for your bed bugs. Bed bugs can multiply quickly, so early detection is critical to help prevent an even larger infestation.